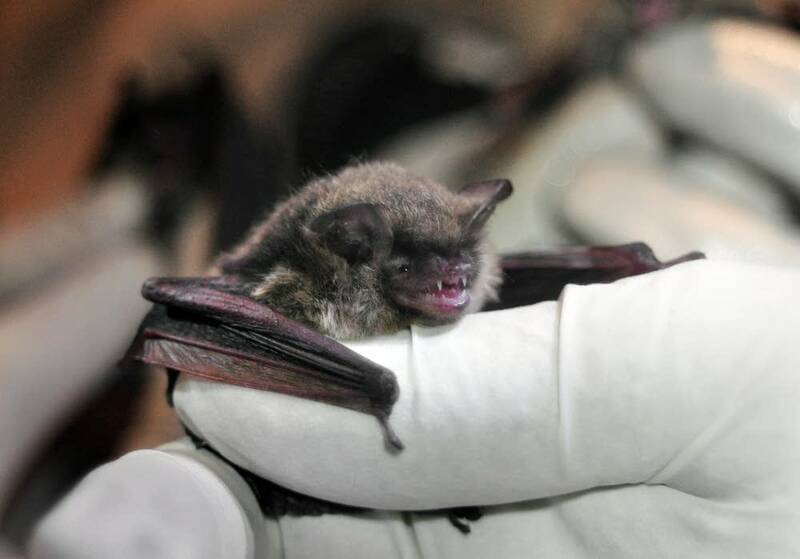 Scientists across Minnesota are working this summer to learn more about bats in hopes that they can help the species better prepare for a fungus called white-nose syndrome, which has decimated bat populations in other parts of the country. Researchers actually know very little about the lives of bats, state DNR endangered species coordinator Richard Baker told MPR News host Cathy Wurzer. But recent technological developments have allowed scientists to better track bats. "We now have transmitters that we can put on these bats, follow them around, and learn more about where they're going, what they're doing," Baker said. Scientists are focusing on studying young females so they can learn more about how they reproduce and the species' preferred habitats. White-nose syndrome has decimated bat populations in the northeastern United States since it first emerged in 2007. It's a fungus that leads bats to exhaust their energy supplies during winter hibernation, which can lead to their deaths. The National Wildlife Health Center estimates that bat populations declined by about 80 percent since white-nose syndrome emerged in the northeast. Baker said cases of white-nose syndrome were found in Minnesota in 2013. He said bats in other states started dying in large numbers about three or four years after the discovery of the fungus. "We don't yet see that in Minnesota," Baker said. "We have an opportunity to study this species and learn how a healthy population operates, what it needs, so when the disease gets here we can do what we can." The northern long-eared bat is a special focus of the $1 million study. It was listed as "threatened" by the U.S. Fish and Wildlife Service this spring. Baker said even people wary of the flying creatures benefit from them due to their role in insect control. "These bats that weigh only a few ounces, they eat their weight in insects every night," Baker said. "So if you don't like mosquitoes, maybe it's time to like bats."